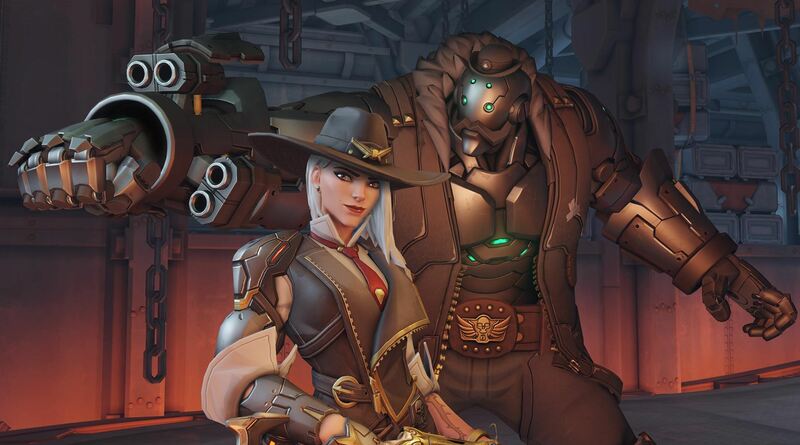 At BlizzCon 2018, Blizzard announced Ashe, Overwatch’s latest hero. A gang leader with white hair and vermilion eyes. Introduced in the animated short “Reunion,” Ashe attempts to hold her own against Jessie McCree before getting defeated. The conclusion of the short reveals that an Omnic robot named Echo was inside Route 66’s payload. Ashe is the leader of the Deadlock Gang. She can call down a giant robot named B.O.B whenever she’s ready to use her ultimate. The character will fit in the game’s ‘Damage’ character archetype. She uses dynamite, a semi-automatic rifle named Viper and a blast back gun that can propel her into the air. Ashe is Overwatch’s hero 29th.